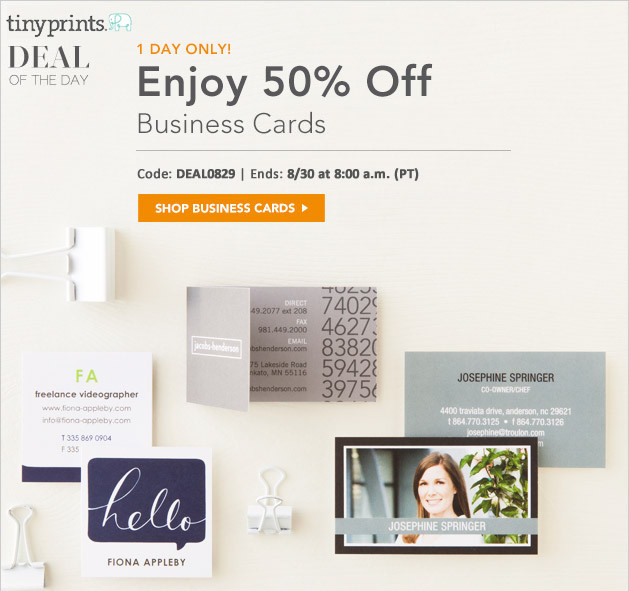 Tiny Prints is having an awesome one day sale on business sized cards – Check it out these cards are 50% off! Even if you don’t have a business this deal is still for you. These cards are great for moms and dads; hand them out to play date parents and as mommy or daddy info cards too. 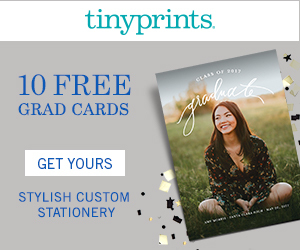 Tiny Prints does business or contact cards better! They have tons of templates and you can completely customize them to fit your style. 1. 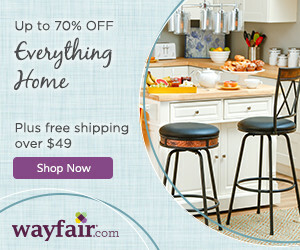 Visit their Deal of the Day Page. Click through to the business cards. Make sure to do so before 7:30 AM PT Friday August 30 to allow yourself time to finish your order by 8:00 AM PT. 2. Choose from hundreds of designs. Pick the one that best fits your personality. 4. Double check your design. Make sure it looks like you want it to. 5. Checkout. When you checkout, use the promo code LABOR13 for 50% off. That’s it! Super simple, but you have to act fast. They’ll be to your door in about a week. Then you just need to start handing them out!